TUSCALOOSA, Ala. — Another award season, another year with multiple Alabama players up for national honors. A few Alabama players will be busy between now and the start of practice for the Orange Bowl as they travel around on the award circuit. First up are the ESPN Awards in Atlanta (Thursday, 7 p.m., ET). Alabama is expected to have four players in attendance — defensive lineman Quinnen Williams, quarterback Tua Tagovailoa, wide receiver Jerry Jeudy and left tackle Jonah Williams. Tagovailoa is one of 3 finalists for the Heisman Trophy, which will be handed out Saturday night in New York (8 p.m. ET, ESPN). Could Alabama sweep the awards? Should Alabama sweep the awards? Let’s make the case for why each player deserves to win. Candidates: Jerry Jeudy, Andy Isabella (UMass), Tylan Wallace (Oklahoma State). 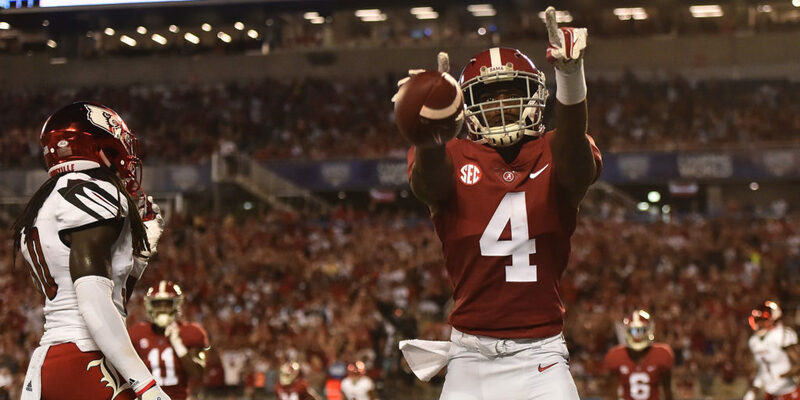 Why Jeudy should win: Jeudy has made the most of his opportunities. The other two finalists have 79 and 102 catches, but only have 11 and 13 receiving touchdowns, respectively. Jeudy has 59 catches, but 12 of those have gone for touchdowns, which is tied for 7th in the nation. Much will be made about Isabella’s career-day against Georgia, but most of those 15 catches and 219 yards came in the second half of a blowout loss against backups. Jeudy did his work against SEC starters. 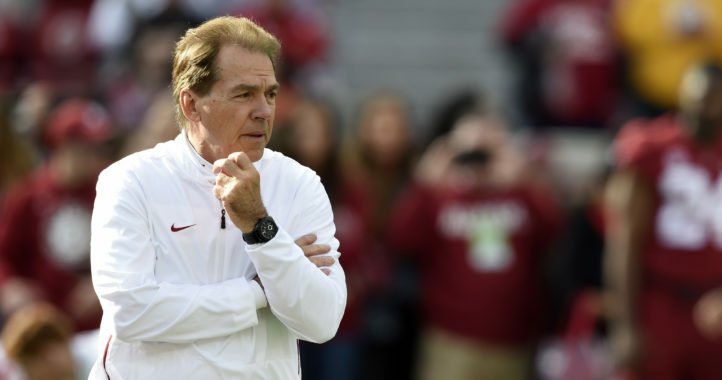 He also compiled numbers despite how frequently Alabama shut it down during the second half in general and fourth quarter in particular of most of its games. Of course, when Alabama needed him in the fourth quarter against Georgia, he delivered with the game-tying catch. Candidates: Jonah Williams, Quinnen Williams, Christian Wilkins (Clemson). 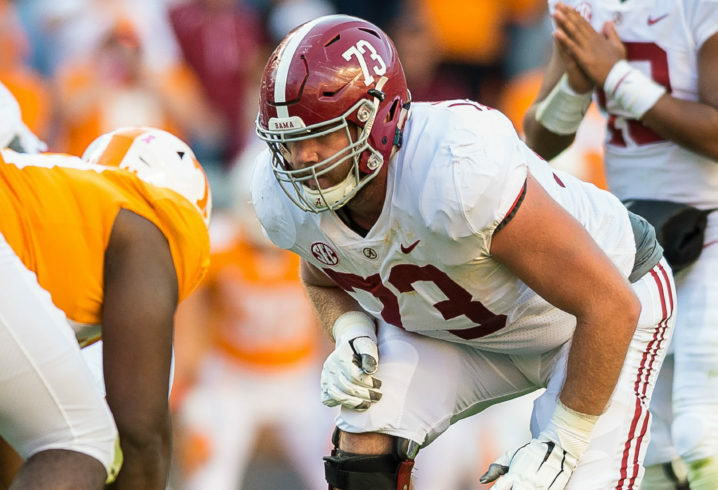 Why Jonah should win: Jonah Williams will likely be the top left tackle in this draft class. He’s physical, smart and athletic. He does everything well. Why Quinnen should win: Quinnen Williams finished the year with 66 total tackles, including 8 tackles in the SEC Championship Game against Georgia. Williams totaled a team-high 18 tackles for loss and 8 sacks, which was second on the team. Williams was a beast all season long as he made the transition to nose guard. Candidates: Quinnen Williams, Josh Allen (Kentucky), Christian Wilkins (Clemson). Why Quinnen should win: Williams has been the most disruptive defensive player in the country this season. He has played so well that multiple mock drafts have his slated as a high first-round NFL draft pick despite this being his lone season as the starter. Candidates: Tua Tagovailoa, Kyler Murray (Oklahoma), Gardner Minshew II (Washington State). Why Tua should win: Tagovailoa has thrown for 3,353 yards and a school-record 37 touchdowns with just 4 interceptions on 199-of-294 passing (67.7 percent) this season. The sophomore is tied for second on the UA career touchdown pass list with 48 and has thrown for 300 or more yards an Alabama-record five times this season. His 42 combined passing and rushing touchdowns are also a UA season record. Much like Jeudy, because Tagovailoa was so dominant early in games, he rarely was asked to pass in the latter stages of games. His numbers have to be taken in context of attempted passes. Candidates: Tua Tagovailoa, Kyler Murray (Oklahoma), Will Grier (West Virginia). Why Tua should win: Murray clearly had the better Championship Weekend game. But Tagovailoa has been college football’s biggest star all year, so it’s only right that he wins the player of the year award. Tagovailoa struggled against Georgia after his injury, but one game shouldn’t define an entire season. Worth noting: The past four Maxwell winners have won the Heisman Trophy, including Derrick Henry in 2015. Candidates: Tua Tagovailoa, Kyler Murray (Oklahoma), Dwayne Haskins (Ohio State). Why Tua should win: See reasons above. Murray certainly gained momentum in leading Oklahoma to a Big 12 title and Playoff spot, but if Tagovailoa wins, he’ll become the first Alabama quarterback to do so. This award, the most prestigious in college football, will be handed out Saturday night (8 p.m., ET, ESPN). Alabama has added a grad transfer and prep product to the team. Tua should win Heisman simply because Murray is going off to play baseball. Nuff said. Case against Tua for Heisman: He sh*t the bed in his biggest game of the year and one of the two good teams he faced all year..
Good point! 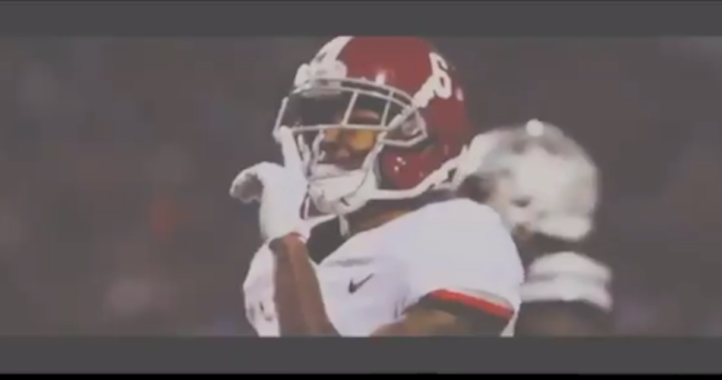 Let’s recap Tua’s crappy game…he is injured early in the 1st quarter, gets punched in the mouth for 3+ quarters, and down by just one score WITH the ball when he’s knocked out by his own teammate in the 4th, setting up Jalen’s legendary comeback. Sorry, that has to hurt. Backup QB two years in a row! But I digress. And this against the team you would argue (and correctly) is the 2nd best team in the country. That’s testament to the value of Tua, not a case against him. It actually shows that Alabama is much more than Tua as they won without him against a Top 5 team…Can you say that OU is a playoff team with Murray? One bad game after being injured on the first drive is not Tua being exposed. How did Fromm do against LSU? Did he get exposed? No. He had a bad game. Wasn’t injured but just had a bad game. It’s foolish to believe one game, after an entire season of great games, changes how good Tua has been. And it wasn’t just Tua. His wife receivers dropped a few passes that were on the mark. He still threw for 16.4 yards per completion and didn’t cost Alabama the game. I know it’s hard being a Georgia fan knowing the football gods hate Georgia but no reason for such an imbecilic take. Tua played terrible against 1/2 good teams he played all year..No way around it! Kyler had a great game against Army, 165 yards, wow!!! And a stellar two interception performance against Kansas, nice!!! Kyler didn’t go 10-25 with 2 pics against the only good team he faced all year..Alabama won the game because Tua got hurt, LMAO. Tua’s knees for MVP! What is it like to seethe in envy of Alabama’s football program 24 hours a day, 365 days a year? I realize that Georgia hasn’t won anything of consequence since Jimmy Carter was in office, but your spiel just gets old around here.